I recently sold my '91 E30 325iX. As of recently, I think I've been on the search for a ZHP for a while now, but I've been noticing some pretty extravagant prices for decent-mileage ZHP's, while seeing pretty competitive price ranges for E46 M3's for around the same area mileage. The M3's all seem to have been enthusiast maintained and cared for, including subframe reinforced. Is there anything I'm missing from the M3 that is in the ZHP? Is it simply because the fact that ZHP's are somewhat rarer in appearance? So many ways to discuss this, but for me, to net it out: the ZHP is the best blend of daily driver and all around performance (handling, braking, moderate speed). The M3 is a more purpose built 'racer' with about 100 more HP..., not as much a daily driver but a high performance machine that can be driven daily. They are two very different cars for different purposes. The ZHP can be had with 2 more doors. Can daily the ZHP without guilt of putting mileage on it. Better balance of comfort and sport. When I went through this same exercise over 3 years ago, I concluded then that the ZHP was cheaper to acquire, cheaper to insure, cheaper to maintain and cheaper to operate. 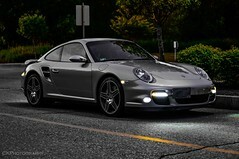 It's has much better ride quality, gets better fuel mileage, and yes, it's not as fast as an M3. Looks-wise, the M3 is more aggressive, but, the ZHP is still a head-turner, and I quite prefer the stock ZHP wheels to the stock M3 18's, and I prefer the cube trim over M3's solid aluminum. I wasn't looking to go cheap, but I was looking for lower maintenance, better fuel mileage, a 200K plus lifespan. Ultimately the refined ride quality is what swung it in my favor. I landed a 2006 ZHP with 40K on it then for about 2/3 of what a comparable M3 was selling for. The frosting on the cake was it was never smoked in, had no tint, was 100% stock, garage kept and dealer serviced. I never looked back, and I'll keep it forever. No question, I completely agree with all of the arguments above for the zhp. But let me tell you my side of the E46’s story. 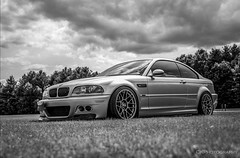 The only reason I got into an e46 was because I stumbled upon jeppej’s m3 sedan. I never had any idea I’d end up in a zhp. I got it with the hope of one day putting in an s54 and one day having a car similar to his or Shawn’s IR. A local shop talked me out of it. I live in an area full of twisty back roads and the guys at the shop basically said that the output from the s54 would be way more than what’s needed for my area. Their position was that the zhp made enough power and held the road enough that an M badge wasn’t necessary. Oddly enough shortly after that I was watching old episodes of top gear and I stumble upon the “greatest road trip” episode. Not sure if you’ve seen it but at Monza Hammond was in a pagani and clarkson was in a cayman. They checked out the cars, did some laps and in the end Clarkson’s argument was basically this: compared to the pagani, he was able to get a lot more out of his car than Hammond was in his. And this, I think in some instances, is the perfect analogy when deciding between a zhp and m3. Yes the zhp may make only 230hp compared to the 330 in the m3. But you can have the confidence to put a greater percentage of you lower down, maintenance and maintenance costs are less, the option for a sedan is there, along with a bunch of other reasons listed above like insurance and gas mileage. Don’t forget the exclusivity- surely there are a lot more M3s the zhps. Something else: no forum comes close to the camaraderie that zhpmafia provides to everyone. Whatever you end up in, the members here will more than likely be able to offer great insight. All excellent points, guys. Well said. It really comes down to if OP is looking more for a track monster or daily driver. I also got to looking into jumping to an e46 M3 for the additional power, but my street driving style is all about the low end torque. While the M3 has 100 more horsepower, it only has 40 ft lbs on the zhp down low (222 vs 262). That gap could easily be closed with catless headers (+15 = 237 ft-lb) and a taller diff ratio (3.07->3.38 final drive means a 10% bump in torque = 261 ft-lb). So you can get S54 'round-the-town' power with the reliability of the M54. On the track, though, it wouldn't even be close. Thank you all for your help! I think in the end, I'll be going for the ZHP. They're amazingly different cars. The e46 M3 is sort of an early 90s exotic, in a reasonably practical/reliable package. The ZHP, on the other hand, is much more a sporty sedan-- it's fun within the confines of not sacrificing comfort. The ZHP feels much more similar to a (slow) e39 M5, to me, than it does to the e46 M3. If your daily commute lets you wring the car out, I think the M3 is a better daily. If you're mostly sitting in traffic, for sure the ZHP is a better DD. If you're going big speeds for long distances on the highway, the M3 is better. The s54 gets very similar fuel economy to the m54 (comparing like for like speed and driving cycle), and the s54 is HUGELY easier to work on. It does require a valve adjustment every ~30,000 miles, which takes a couple hours, but everything else about the S54 is stupidly easier to work on. Any project that requires the intake manifold to come off makes me hate my M54. Maintenance costs are pretty similar. The M3 cooling system costs more, but it need to be replaced half as frequently. Bushings/ball joints should be replaced on both cars every ~100,000 miles. M3 needs the beisan vanos lock downs, ZHP needs the OPN secured, PVC fix, and DISA lockdowns. It really just comes down to what you value/need from a daily. The ZHP is more comfortable and quieter. The M3 is more involving, faster, etc. My daily commute consists of twisty back roads followed by some pretty high speed highway-- M3 is the clear answer. But, in the past I was driving into a city, where the M3 was hugely annoying (so I didn't DD it). If you're thinking about tracking the car at all, the M3 is a hugely better starting point-- and not just from a performance standpoint. The head doesn't lift, it has no oil starvation issues, it has an oil temp gauge, it has an LSD, etc. All that said, I suspect you're not comparing like for like condition/year/mileage cars, if prices are similar. My context: Currently have an e46 M3 wagon DD, e46 M3 coupe weekend/track car, e39 M5 as wife's DD, and an e39 530i beater. My brother used to have an e46 ZHP that I spent a considerable amount of time working on and driving. One of my close friends also has had a ZHP for the last decade that I've spent a lot of time with. New Full Set of Professional Figure Athlete Francine Sablan.